Over the past few years, Dr Kris has developed an interest in and deep passion for pediatric and prenatal chiropractic care. As nearly one-fifth of his practice is constructed of children, he is attending at least two pediatric seminars per year. As well as helping children, Sensus Health & Wellness also helps the health of pregnant women. Chiropractic has the ability to make a difference in the lives of babies and children just as it does in the lives of adults. It has been known to help issues regarding colic, nursing, sleep, digestive function, and so much more. Utilising gentle techniques, Sensus Health & Wellness provides comfortable care with in-depth explanation to ease worry. 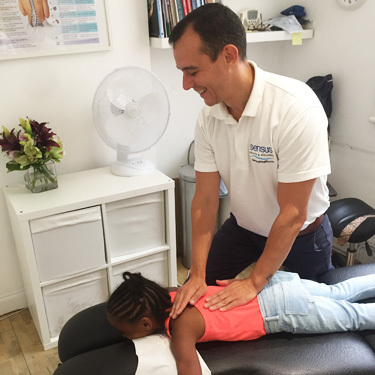 Sometimes, if the child is the only client, parents will begin to ask questions and often as a result seek chiropractic care for themselves. More often than not, it is a family affair. Many of the preschool aged children Dr Kris sees are the offspring of current clients, and a lot of the older kids and young teens he serves are developing athletes – but his pediatric community does not stop there. Dr Kris is glad to provide care to entire families, from newborns to elderly adults. 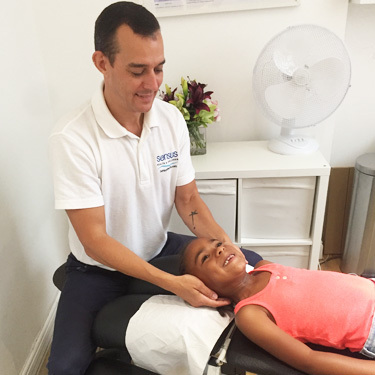 He understands that the benefits of chiropractic expand to all people, regardless of age or condition, and that is why he believes in beginning chiropractic adjustments as early as possible. 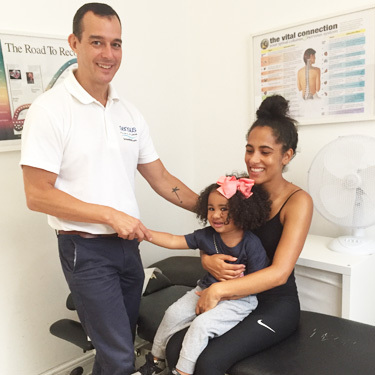 It is never too early to utilise chiropractic as a natural alternative to rectify your family’s discomfort. Sensus Health & Wellness offers a safe, effective way to relieve common and chronic health issues.